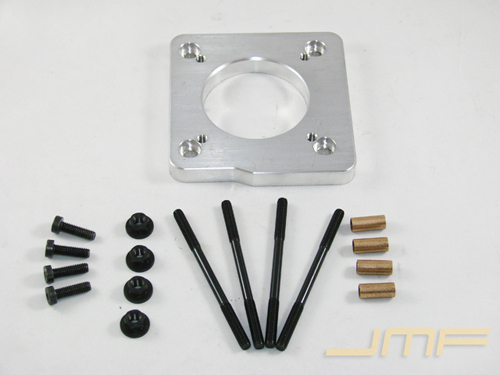 Designed to convert your sheetmetal intake manifold from a Q45 TB to a stock 1G DSM TB. Perfect if you want to run a larger TB in the future but would like to stick with the 1G TB for now and not have to chop and reweld a new flange on later. Includes all necessary hardware.